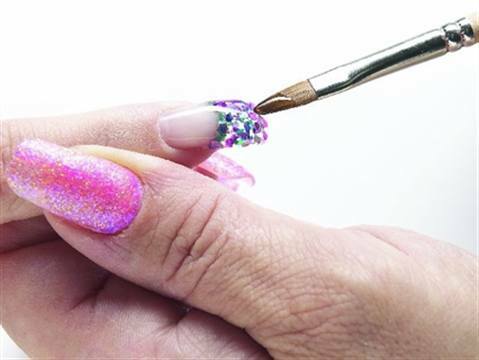 New Sea Gems crushed shells from NSI allow nail techs to easily create luminous, dazzling nail enhancements using Attraction liquid and powders or Balance UV Gels. 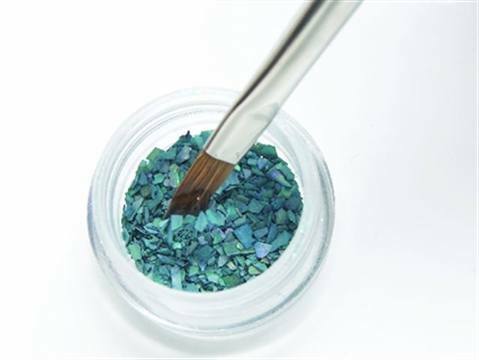 New Sea Gems crushed shells from NSI allow nail techs to easily create luminous, dazzling nail enhancements using Attraction liquid and powders or Balance UV Gels. The Sea Gems can be purchased in a six-pack that includes Pearl, Citrine, Coral, Tourmaline, Amethyst, and Turquoise, or as part of a Sea Gems Introductory Kit that includes Attraction Liquid and Powder, 20 Elation White Tips, Polybond Adhesive, Perma Gloss Prep, Perma Gloss UV Sealant, Perma Gloss Shorti Brush, and Nurture Oil. 1. Prep the nail enhancement. Using a medium-wet mix of acrylic, gently press the bead into the Sea Gems. 2. 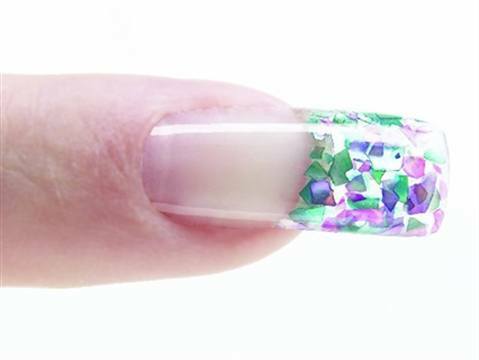 Press the bead with shells onto the free edge and continue overlaying the nail with acrylic. File and shape the nail. Remove nail dust. 3. Apply Perma Gloss Prep and allow it to dry for one minute. Apply Perma Gloss to the entire enhancement, making sure to seal all the edges. Cure for two minutes. 4. Remove the tacky layer. Condition the enhancement and surrounding skin with Nurture Oil.